Abafazi Be Ngoma (women in song) celebrates the power of women through song and dance. 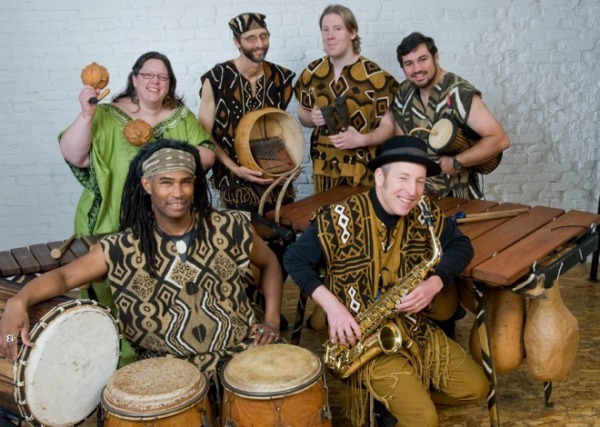 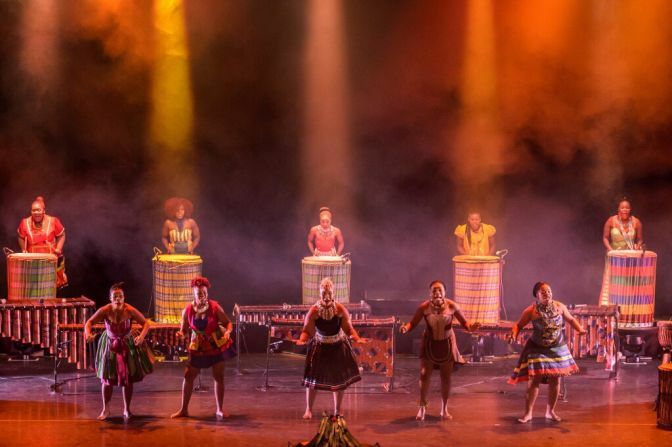 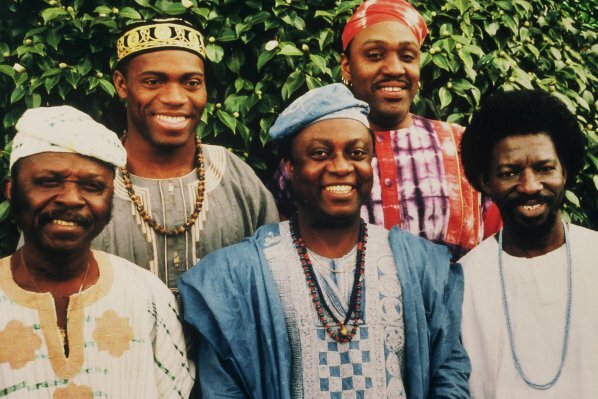 When they enter the stage dressed in their vibrant African inspired costumes some stationed in front of a marimba or drum while others positioned to sing, dance or narrate – be ready to find yourself dancing and singing along to the evocative rhythms of Africa. 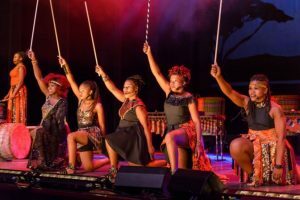 The group’s high-energy performances have seen them constantly performing on stages around South Africa and internationally, putting them in class of their own. 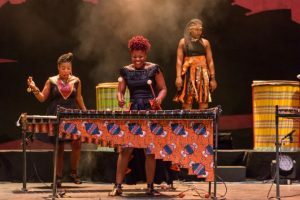 They have collectively performed in places like Europe, USA, Japan, The Netherlands, China, Jamaica, North Africa, Korea, Scotland and other. 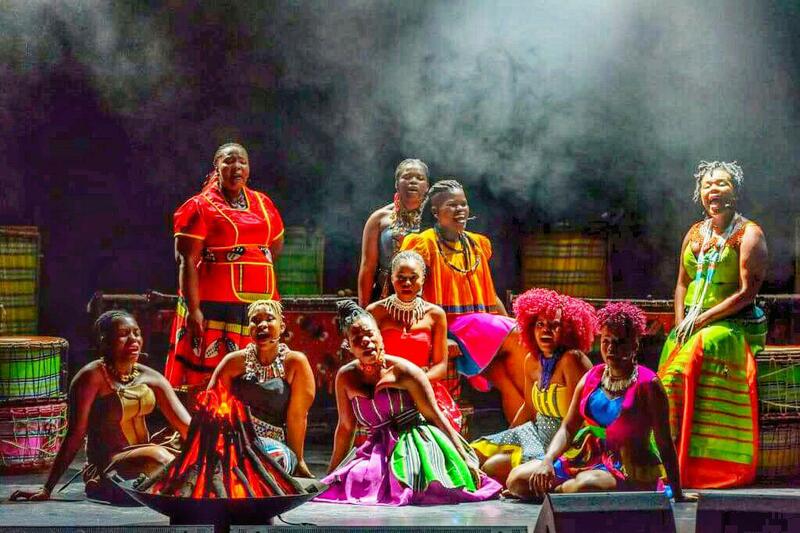 Also unique to Abafazi be Ngoma is that these women produce, direct and stage design their own shows and have collectively created their costumes and drumming kit as part of their creative women empowerment program. 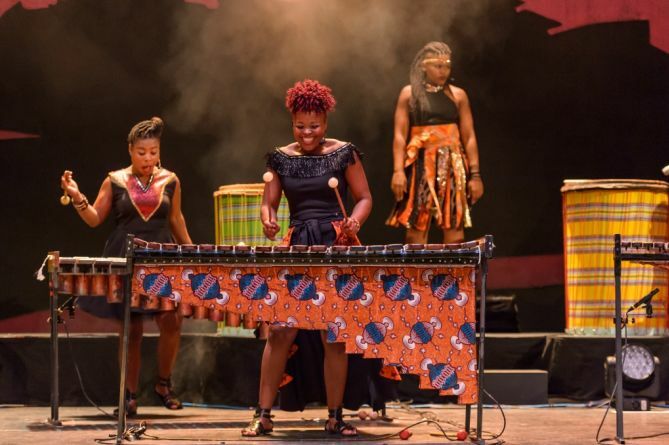 According to Abafazi be Ngoma’s Brand manager, Abafazi be Ngoma mandate is not only to promote women and youth participation in arts development projects but to develop performances that are meaningful and appropriate to the life experiences of the communities, including issues such as gender equality. 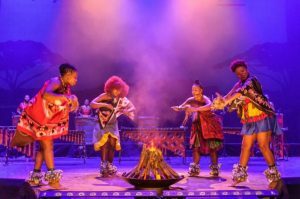 The cast also aims to forge African and international collaboration that foster cultural exchange and a proudly South African brand. “Our mission is to use the creative medium of performing arts to train, educate, develop and empower youth and adults within the varying South African socio-economic communities and contributing towards job creation and poverty alleviation,” Ms. Modise. 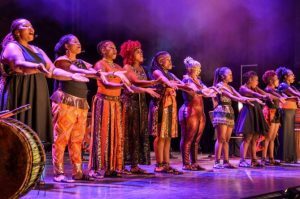 Abafazi be Ngoma received great media reviews on their recent tour last year (2017) when they performed 67 shows sold out shows in Netherlands. 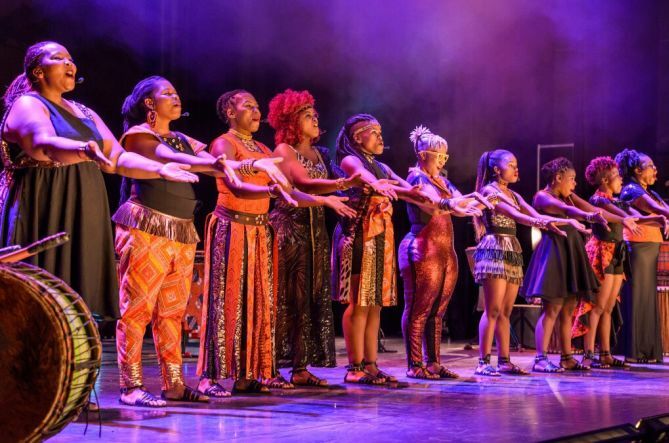 Among other International tours, the group is also gearing up for their Holland tour next year (2019) where 25 percent of tickets are sold in less than a month of the announcement. In South Africa the group performs on different performance spaces including corporate events, festivals pop up, awards ceremonies, community and stadium events.